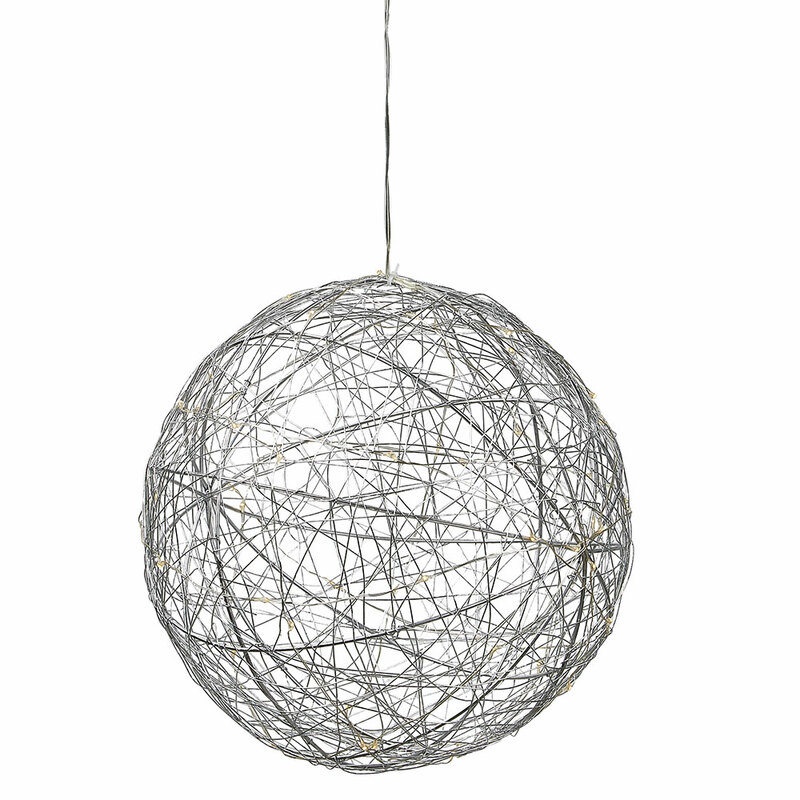 This silver ball turns your living room into the coziest place ever! Winterdays are coming, so lights are too. 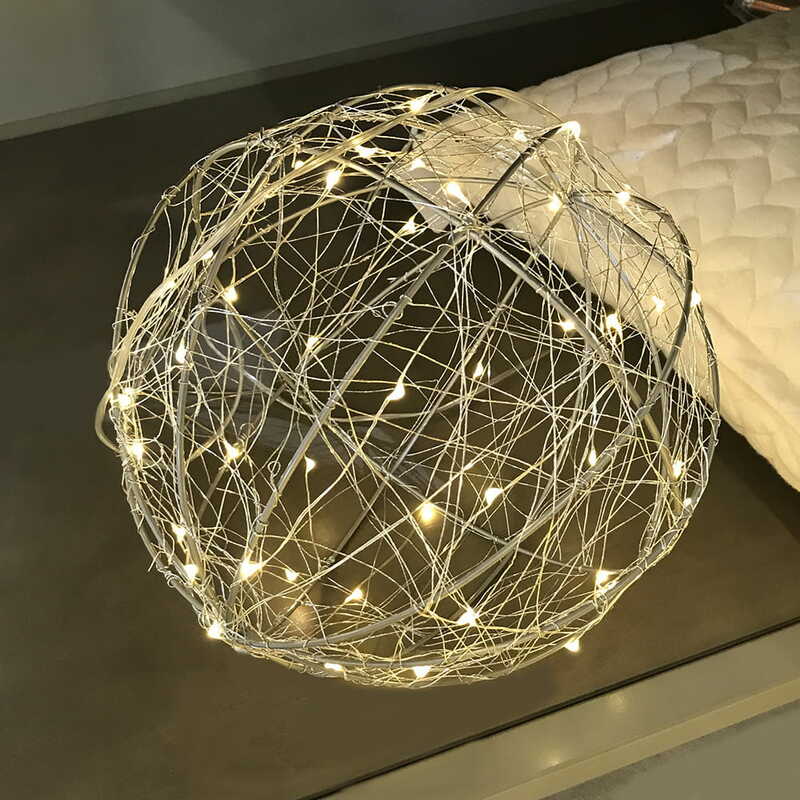 Create a cozy atmosphere with this metal ball filled with small led lights. No worries when you fall asleep: the ball has a timer function of 6hours on/18hours off. Small: D: 12 cm x H: 12 cm. Large: D: 23 cm x H: 23 cm. Needs 3 x AA batteries (not included!). Hang it on the wall, or put it on a throw.